The vertical drop from summit to base is 1312 ft. The average difference in altitude between base and summit of Ski Resorts in France is 2848 ft. Runs and slopes are therefore relatively short. The highest point of the track is 5741 ft above sea level. 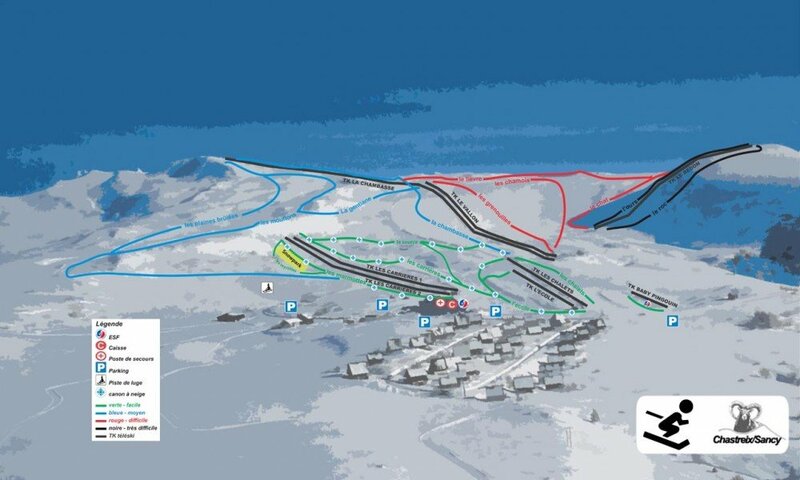 The day pass at Chastreix Sancy is €18.50 making it one of the 3 cheapest ski Resorts in the Auvergne. Average snow depth during the season (Dec 17 to Mar 26) is 15 " at summit elevation and 21 " at base elevation. Snow coverage is usually best during March, offering an average snow depth of 24 " at summit elevation and 29 " at the base. Chastreix Sancy features 39 sunny days on average per season. The average for all ski Resorts in France is 57 sunny days. February is the sunniest month with an average of 18 sunny days. This makes the ski resort one of the 3 sunniest in the Auvergne.